Aurora Stamps is a full service retail store. We buy stamps, stamp collections and estate accumulations. 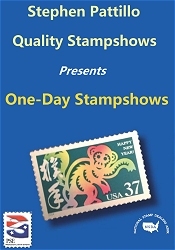 We sell stamps, collections, covers, and stamps supplies. We do not buy/sell coins, paper money, gold, bullion, comic books, or sports cards. 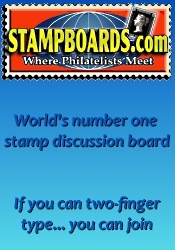 "Do one thing - do it well".If you are looking to buy stamps for your collection, we carry a strong selection of Worldwide stamps, priced at 50-60% of catalog value for sound stamps. We also carry a comprehensive supply of pre-1935 US stamps - all priced by condition, and modern stamps priced by catalog value. We have many shelves of albums, collections, and boxlots of stamps reasonably priced by the lot. There are also a number of boxes of covers individually priced. We have a selection of stamp collecting supplies including a full range of sizes of stamp mounts. We are constanly buying new material so there is good turnover and what we don't have today, we might have tomorrow.We are a strong buyer of stamps, collections envelopes, postcards, - anything "stamps".Please call to find out when Art will be available to provide an evaluation of your items. What are your stamps worth? We determine the value based on what the market (our customers) will pay minus a reasonable profit for our efforts. What is our mark-up? It depends on how quickly and easily we can sell the items. High demand items have a small markup, where certain items that take a long time to sell will bring a small percentage of retail value. A number of our customers have stamps to sell and have no idea what the stamp market is like. Many collections that we see are worth very little, although we also see many collections worth substantial amounts. What we recommend is for us to provide a free "approximate" valuation of your stamps, this will take less than 10-15 minutes and give you a rough idea of what you have. This is a good first step, and will help you decide what would be best for you.We also provide detailed evaluation of collections if you need an exact quote, or for insurance purposes or estate settlements. We charge by the hour but can ensure that the evaluation fee is usually about 5-10% of the value of the collection. If you sell the stamps to us or another stamp dealer then we don't charge for the evaluation.